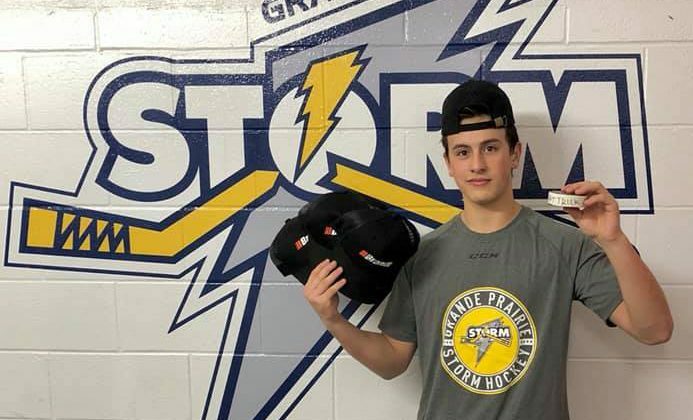 A Grande Prairie Storm player has remained on the National Hockey League’s central scouting rankings. Zachary Okabe is ranked 201 on the list of North American skaters. The list ranks the most eligible draft picks ahead of the 2019 NHL Entry Draft on June 21st in Vancouver. At the midterm point, Okabe was also ranked 201. The right winger has played for the Storm for the past two seasons. This past season in 60 games he had 31 goals and 27 assists for 58 points. He has committed to playing for St. Cloud State University in Minnesota next season.